A polymorphic European species (or complex). Except for an 1866 Lenawee Co. specimen, the earliest Michigan collections date from the late 1880’s, by which time the species was evidently well established across the state. 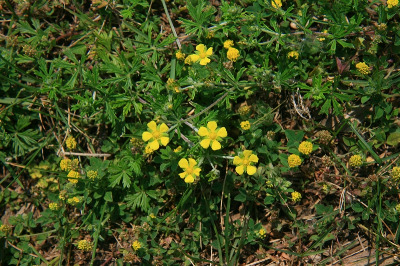 Now a common weed of dry roadsides, trails, barnyards, lawns, railroads, fields, gravel pits, and disturbed ground generally; invading dry sandy upland prairies and savannas; because of its low stature, it withstands mowing well. MICHIGAN FLORA ONLINE. A. A. Reznicek, E. G. Voss, & B. S. Walters. February 2011. University of Michigan. Web. 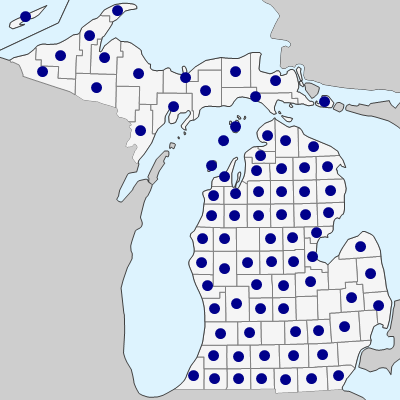 April 24, 2019. https://michiganflora.net/species.aspx?id=2502.